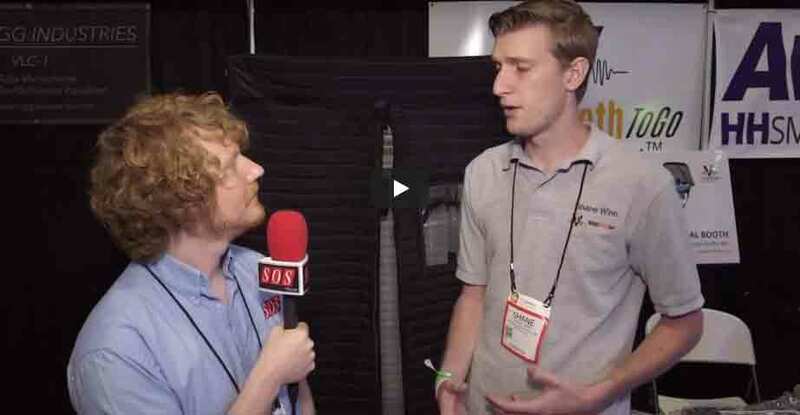 Sound-on-Sound magazine interview with VocalBoothToGo.com at 2016 Summer NAMM show. This is a Report by Sound-on-Sound from the 2016 NAMM show in Nashville. Testing Acoustic Vocal Booth AVB33 that was presented at the show. This entry was posted in Acoustic Product Reviews and Testimonials, Videos and tagged acoustic vocal booth, audio recording, NAMM show, portable vocal booth, sound booth, sound-on-sound.